With your £8.49 in hand, taking on the town of London can be a feat. One of the cheapest things to do—and one of the most enjoyable—can be spending time really looking around the city. Given that London is around 2000 years old and is the capital of one of the most influential countries in the world’s history, simply observing it is a joy in itself. 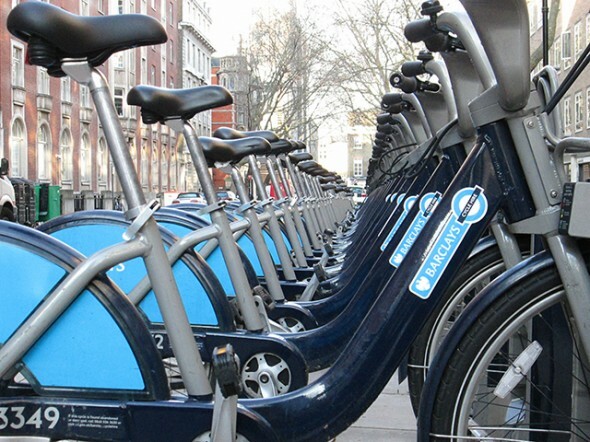 Modes of transport are a bit dodgy for the wallet’s health, so I recommend Barclays Cycle Hire. For just £1, you can bike clear across central London in merely twenty minutes. Stop off at the National Gallery and the National Portrait Gallery, or the Victoria and Albert Museum to see art from the fourteenth century through to the present day. The British Library is also free, and the exhibits there house original work from Lewis Carroll, J.K. Rowling, and Shakespeare: you can look at original folios from Elizabethan England and first drafts of Harry Potter, all in one afternoon! Afternoon tea at the National Gallery isn’t too expensive: £2.50 lets you choose a cup of tea from a myriad of flavors, all while you enjoy a lovely view of London. After your tea, you’ll be fortified to handle the crowds in Trafalgar Square, not far from Big Ben and Westminster Abbey. If you happen to time it right, you can join in at the Evensong service at Westminster to get a look on the inside for free! There are plenty of places to wander in London, but some of my favorite places are the libraries and the parks. 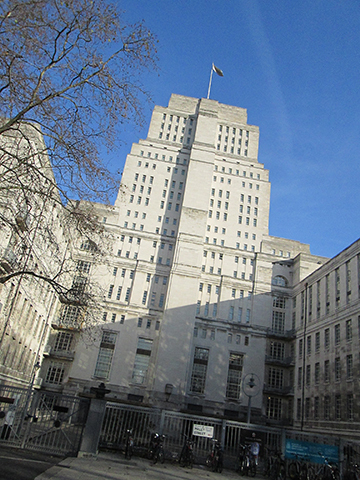 The Senate House Library is just a five-minute walk from the NYU London academic center in Bloomsbury. If Hitler hadn’t been stopped, the library would have become his headquarters. The building was used as a set for The Dark Knight Rises. For a change of pace and a breath of fresh air, you might think about spending £5 for boat ride in Regents Park. A taste of history, tradition, and a good cup of tea is waiting if you if you just step out on the cobblestones and grab your umbrella.